I was on my normal search of all things lovely, when I came across this image from stylebeatblog of Dwell from 2012. The photo looks like it could have been taken yesterday. I really believe Grey is going to be a timeless color. The bookcases finishing touches of brass hardware makes me love it even more. I do not know the true paint swatch color of the bookcase. 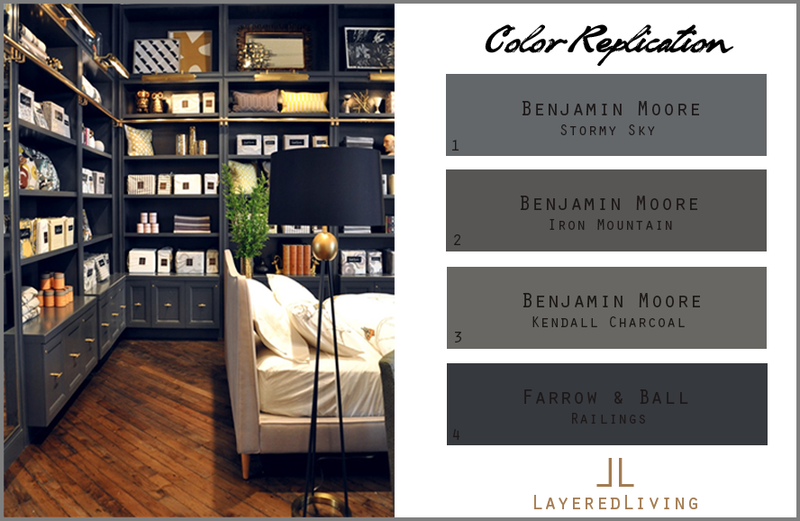 So I gathered 4 similar colors that would make for just as lovely of a color on any bookcase. 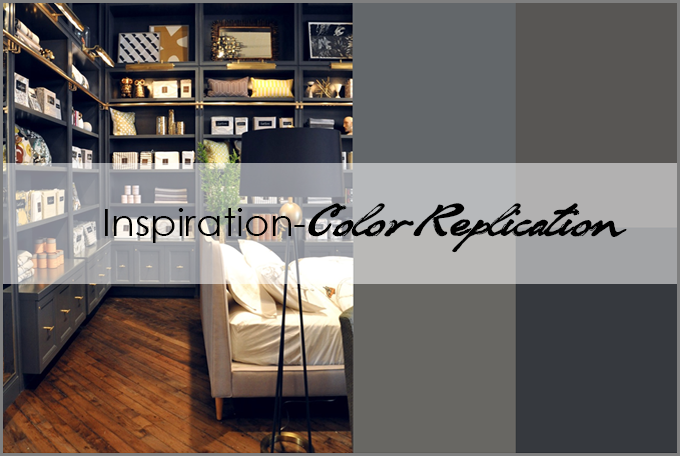 I have used Kendall Charcoal on my lower kitchen cabinets and I love the color. If I were to build a bookcase this would be my go to color again.